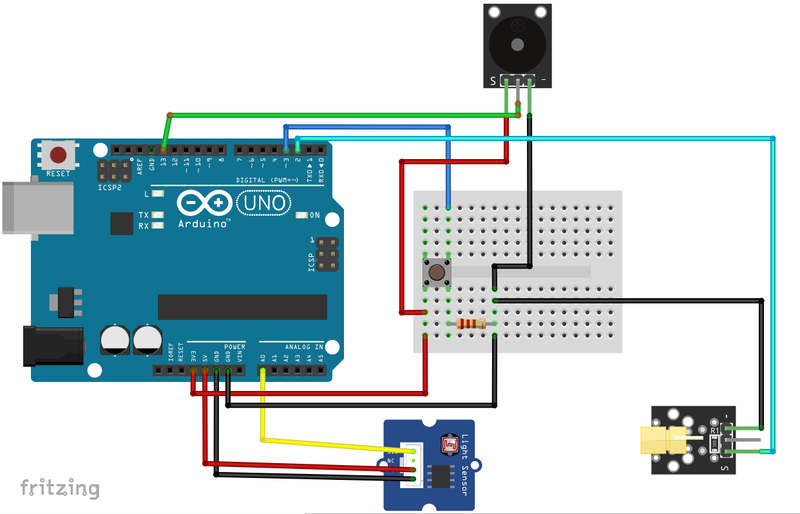 Hi, this tutorial is about "Grove Light Sensor" based project, there are two versions of the project, and as you read it it's a LASER Tripwire Alarm, one that you can set with a simple push button, the other one is more secure and requires a passcode. A tripwire is a device triggered by physical movements, you can use it to detect people, animals, cars... when they pass through an area. This one is based on a LASER emitter, that constantly sends beams to the light sensor, and when someone/something passes, the sensor won't receive the beams, and the alarm is triggered, and won't stop until you resest it (push button/passcode). 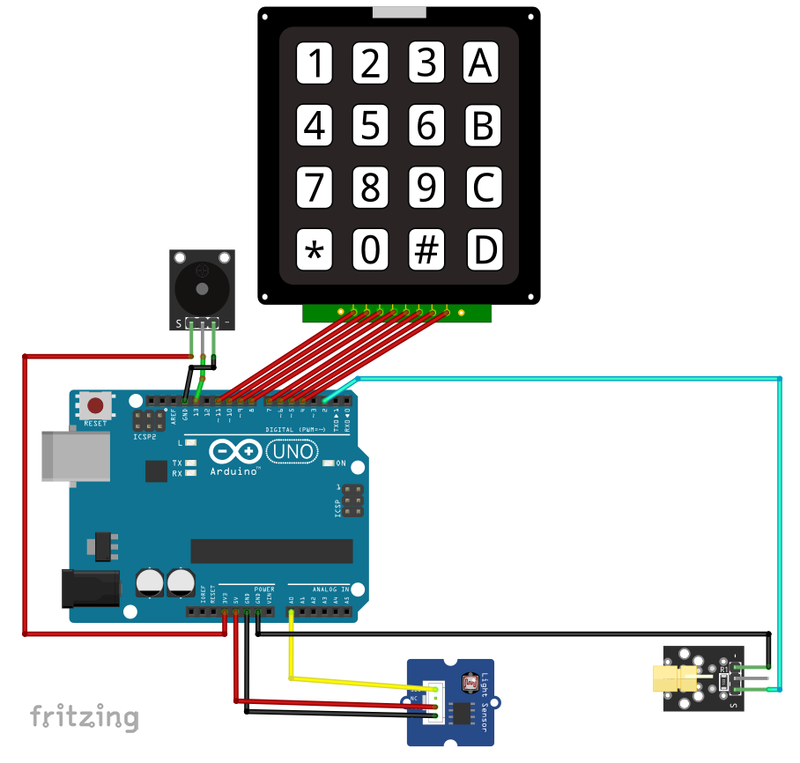 To turn the alarm off, you should press ‘*’ on the keypad, then enter the numbers 1, 3, 6, 6, the code will fix the buzzer in a single frequency (disturbing) sound until you enter 4 digits, if they are correct the alarm will stop, otherwise it will go off again. This is a test video for both versions, the video is loud !! !